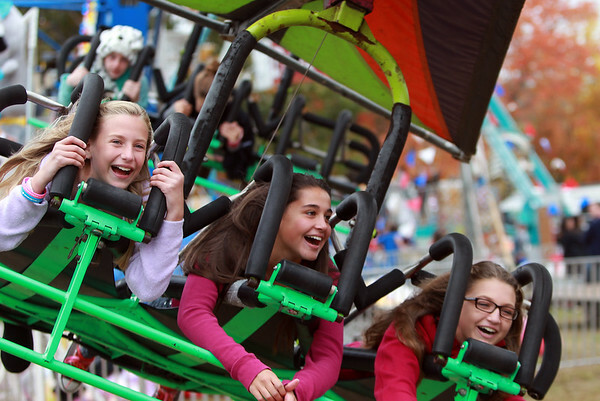 From left, cousins Alana Moretti, 10, Maggie Papia, 13, and Chloe Moretti, laugh as they are spun around on a skydiving ride at the Topsfield Fair on Monday afternoon. DAVID LE/Staff photo. 10/13/14.